We limit learning foundations to the minimum extend, just enough to move forward. We do not broad knowledge of our discipline, instead we settle for shortcuts and mediocre, expecting fast results. This work routine leads to the vicious circle of repeating the same mistakes, over and over again, the process of learning is chaotic. On the surface it looks like we can achieve quite a lot, but the truth is our whole knowledge (and the dog’s work foundations) turn to be a house of cards, any unsuspected event is enough to destroy it. We can compare it to the example of a musician, who wants to share his emotion through the music, but only knows five cords. We can make many words, knowing only each second letter in the alphabet but this will not make us poets. Can you imagine such ignorance in medical school, or during the driving classes? In dogs trainers’ world it is an every-day reality. We are lucky when consequences are “only” loss of money, time, pleasure from work, frustration. 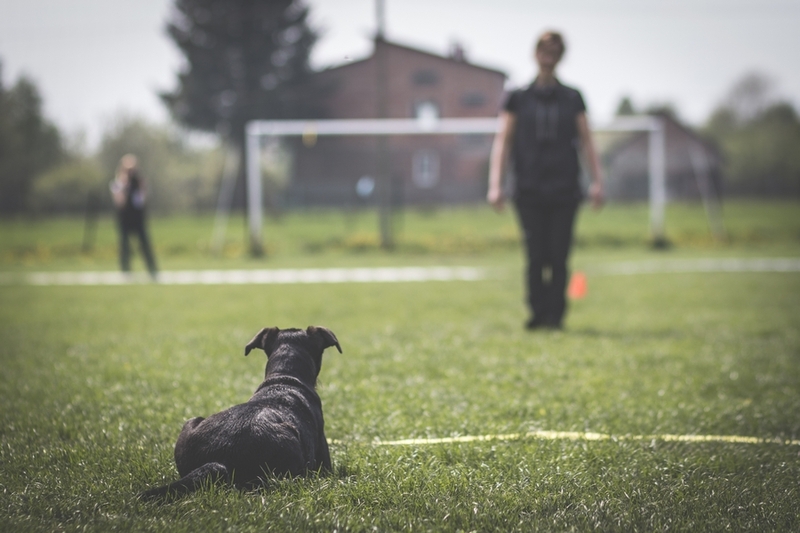 Majority of trainers tend to focus on complicated behaviors before they even get to know the science of dog training, they believe it is an innate knowledge. 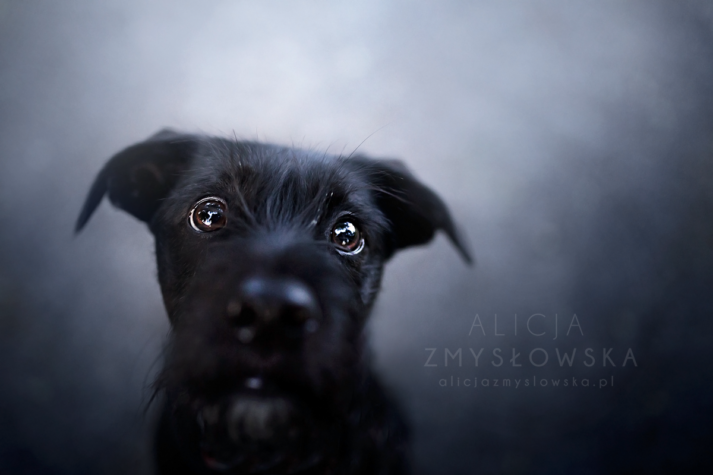 We often hear about intuition, talent, sixth sense, inner abilities of dog trainers. But what do these terms mean? How can we use these words and not have any knowledge about teaching techniques, process of learning whatsoever. It produces trainers who know only one method and use it schematically, without giving it any though, not knowing what they are actually doing. They improvise with skills because they lack any sort of fundamental knowledge. They have no real, professional background and experience. We now witness a trend that anyone, who has just started working with his own dog, can quickly become a trainer. There is not responsibility for what they are doing, and formulating work based only on „intuition” leads to absurd. A person who wants to start a career as a trainer has to make decision how to learn on his own. Making choices what is relevant and not in his education, without having any knowledge in this field, and not knowing what he actually knows and what he does not know yet. It is the same as if we had given a choice on curriculum to a kids in a primary school. Such choice is dangerous because it automatically makes students being teachers, without any knowledge. 1. Lack of knowledge about learning process in dogs. It is a fundamental knowledge, that is constantly being forgotten. One can not teach, not knowing how the student is learning. What is the process of learning. This leads to a frustration on both sides, reaping the same mistakes, over and over again, inability to move forward with the task, and makes the whole learning process ineffective. The feeling of being stuck in one place is often a part of this situation. 2. Lack of knowledge about training techniques. Majority of trainers is not even interested in expanding their knowledge about what kind of strategies, techniques can be used for teaching. If they teach a dog the down they have only one way to do it. If it does not work… they try until it works. Discouraged student is the tinniest side effect. If they encounter a dog that does not fall into this category they are simply unable to work efficiently. 3. Lack of knowledge about the dog’s behavior and communication. It is hard, if not impossible to teach a different species if you do not know how it communicates, what theirs behavior looks like when they are afraid, happy etc. 4. Lack of learning stages. Seldom one uses logical thinking. Planning and graduate increase of difficulty is often forgotten. Everything is left to the chance. Trainers often don’t know why a mistake has happened, because the process of learning is so chaotic that there was no possibility to catch the exact moment something has gone wrong. 5. Starting from the end. Large number of of trainers I have met, starts from teaching complex behaviors, even chains of behaviors (not knowing about it). 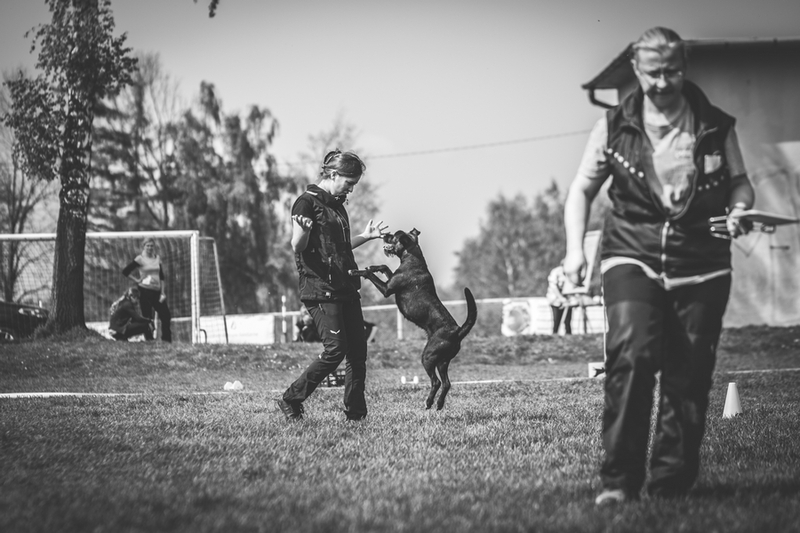 The foundations that may be extremely valuable for dogs, for example: understanding of reinforcement, response to our behaviors, physical preparation, clarity of criteria, play, rules of work, engagement, are neglected and often forgotten. What is “important” is only if a dog can do a sit or down. 6. Lack of handler’s manual skills. In the whole educational process there is no place for handler’s skills, and it should be one of the basic things we learn. Being aware of the tennis’s rules does not make me a good player, does it? No, because practical skills can not be replaced by theory. Before we start working with various dogs we should really spend some time working on our timing, reflex without a dog. A tennis player spends a huge amount of time on improving grip technics; proper reflex in forehand before he hits the ball. Why a dog trainer is not practicing motor skills – so necessary for proper delivery of reinforcement? Being a responsible and thoughtful trainer entails duty to learn all possible and available resources, points of view, scientific works, new trends in our field. Teaching others is a huge responsibility and we should have a feeling that the knowledge we share is of the best quality.